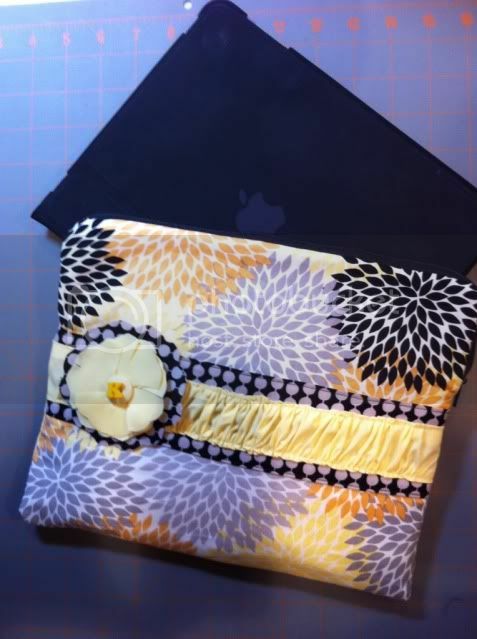 My sister fell in love with this tutorial for a zippered laptop case posted from Crap I've Made. I gave it a whirl and whipped one up for her last Christmas. Since then, I have been persuaded to make a few more as gifts. The end result is a lot of fun, but definitely tricky to get everything lined up and fit together. 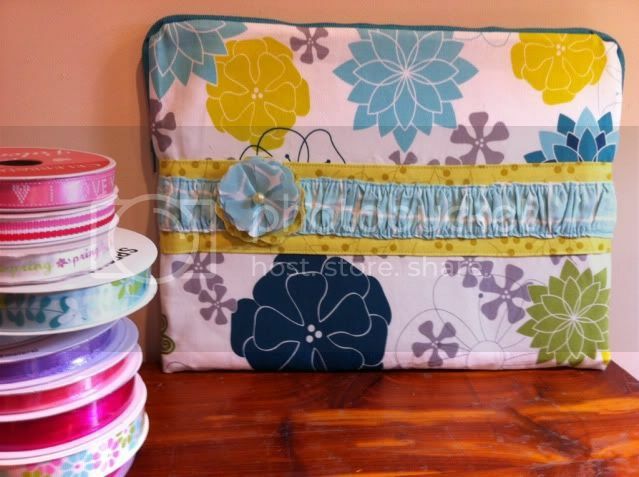 If you can't wait to try this one, make sure you use a home dec fabric or thicker cotton. If you decide to use a quilter's cotton, interface the main panels. I also fused the fleece to the lining for more direct padding. I so need to make a new laptop case for my new laptop. Thanks for the inspiration! I love your blog design. So cute! This is so cute! You are so talented, and I LOVE your fabric choices! Thanks so much for sharing! You did a great job and I LOVE your fabric choices. I saw her tutorial, even have it bookmarked, but have been a little intimidated to try it. Perhaps with seeing how easy you did it I may give it a whirl. These are fantastic! I can see why you've been asked to make more. Thanks so much for linking up to this week's BFF link party! This is so cute! 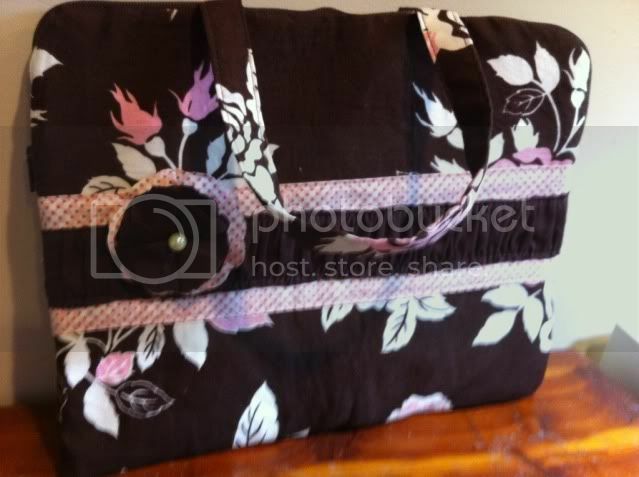 Love the fabrics you've used. 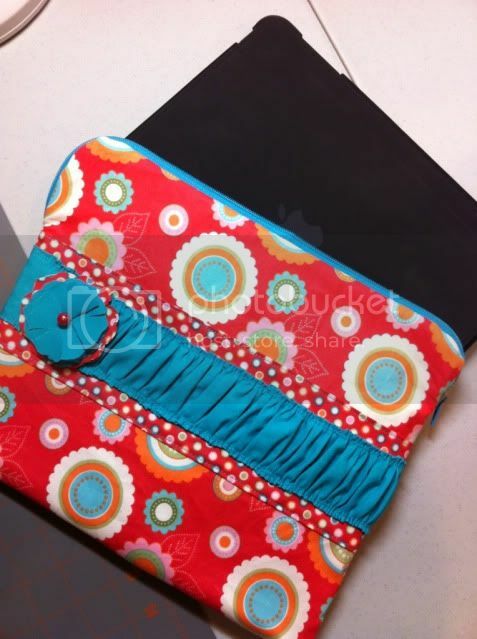 I love your laptop and Ipad cases! So adorable! I love the little ruffle strip across the center of each one! This is really neat! Love the pattern!